Get 6% partner’s cashback on total payable amount; valid for use during next visit. 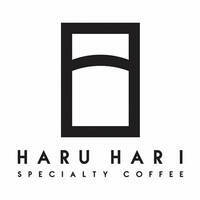 With its storefront sporting wooden windows that give off an enchanted vibe, Haru Hari Specialty Coffee invites fellow coffee enthusiasts to drop by and get their daily fixes of caffeine. With drink options like their signature Haru Hari coffee, hojicha latte, matcha, and more, one can guzzle up these refreshing delights to fuel themselves.